My father got himself a new DSLR camera just before his cruise along the scenic rivers of Germany and the Netherlands with my mother (they’re over there now). As a result, he gave me his old Nikon DSLR, including a telephoto lens, for which I am very grateful. Let the fun begin! This afternoon I went for a walk around Lake Rianhard in Celebration, where there are usually plenty of birds and insects native to Central Florida, some turtles, and occasionally a few alligators. I didn’t see any alligators today, but I did see plenty of herons, egrets, and dragonflies. Naturally I brought the camera along and popped on the telephoto lens to try my hand at taking a few pictures. The telephoto doesn’t have an auto-focus, which made it more challenging to use, but also more fun to play around with. 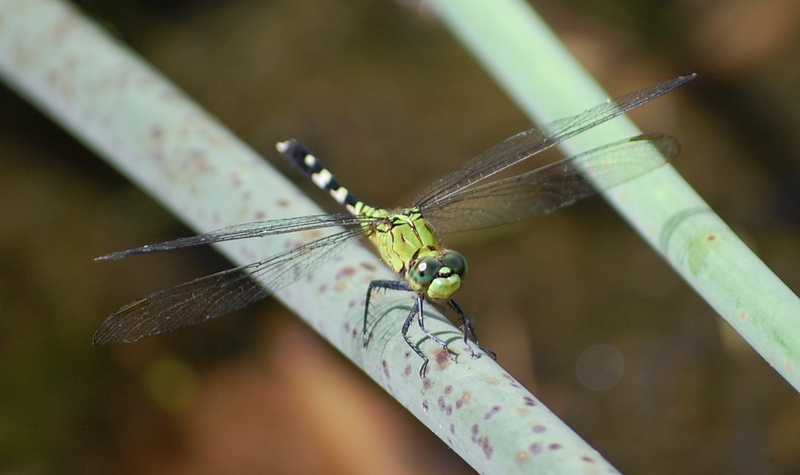 A green dragonfly on a plant stem. 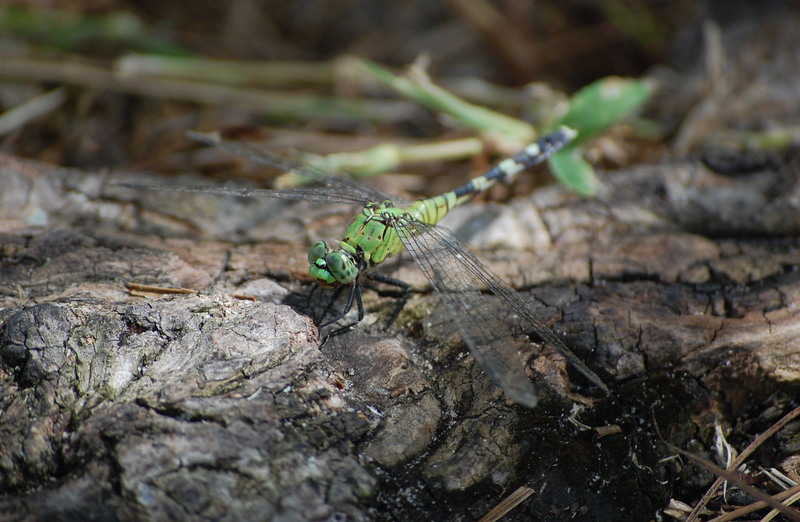 A blue dragonfly in the marsh. A dragonfly on a tree root. You can see a little ant crawling along the root in front of him. 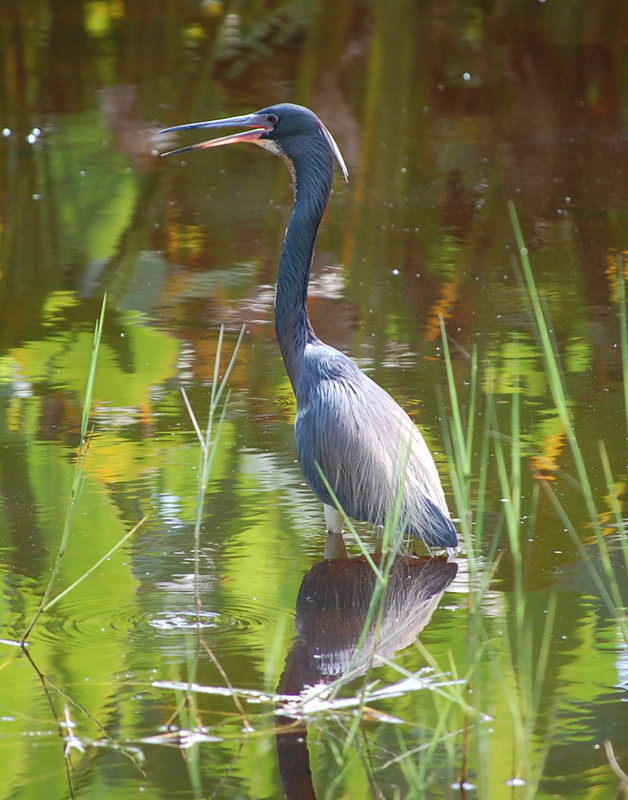 A Little Blue Heron in the reeds. I’m certainly no professional, but hey, it’s a start. I’m looking forward to getting out there again with the camera someday soon. Maybe there’ll be some alligators next time…!